Fatherland and Constitution, Patria e Costituzione, is a and left-wing political association founded in Italy in September 2018 by Stefano Fassina, a member of the Chamber of Deputies of the Free and Equal (Liberi e Uguali, LeU) parliamentary group. We are posting this piece because throughout Europe the Left (not the Social Democrats, who have sold their souls and votes to neo-liberalism) is asking itself why it too is losing voters. This is not a discussion in just one nation, but the most (Britain seems to be the exception, but under Corbyn and through its supporters, Labour has abandoned the social democratic Great Sell Out). We are probably in the midst of a real popular uprising taking place on the European continent. It is expressed in a peaceful electoral upheaval and tends to take on a strong right-wing bias, from a political and cultural point of view, as a result of the disastrous policy of the traditional Left. It is the outcome of a quarter of a century of increasing impoverishment, of tangible erosion of the guarantees of the welfare state, of permanent stagnation, and of the loss of credible prospects for the younger generations. We are witnessing a massive change in social representation, in which the working class are turning to the right for protection and security (security in the broadest sense, which means first and foremost security at work and in the workplace, security at home with regard to health and care, and which only in the final analysis also means protection of public order). 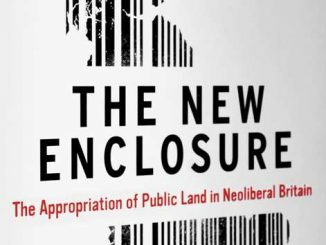 A reversal of roles and representation of classes and lifestyles, graphically shown by all the analyses of the elections of recent years, which have contrasted the satisfied wealthy city centres with the discontented people of the suburbs. The latter are expressing a need for rebellion and protection at the same time. This leaves the left representing a more-or-less contemptuous middle class, made up of wealthy people satisfied with the temporary results of globalisation and acquired civil rights. But a prevailing dominance of the right is not clear: where there is a new Left worthy of the name, it distances itself from the myths of the past thirty years and participates autonomously in the struggle against the European establishment. The final outcome of this process will also depend on its ability to exert influence. Unfortunately, the Italian Left is not part of this picture. In Italy we need a Left that knows how to talk to the people, at least to understand their problems. We could also talk about populism, without locking ourselves up in academic seminars on Laclau. It makes sense to propose a reorganizsation of the Left only if we have the objective of winning popular support from those who have moved to the right, not taking the side of the oligarchies, or we shall enter the embattled minority of three or four percent to which the so-called “radical left” as a whole has been reduced for a decade, completely incapable of speaking to Italian society. How did we get here? Why did a nation that had once produced one of the most fiercely left-wing electorates on the continent reduce itself to mourning its absence and irrelevance? The historians of the immediate future will have to retrace, without any compromise, the painful path that lead from the legacy of Gramsci and Matteotti to Benetton. We can and must go back, without straying too far, in search of the limits of a tradition, identifying, however, the decisive moments and crossroads, which probably caused the great change to individualistic revolution of the 1980s, the decisive turning point of a new history in which we have been immersed until now. But this is true for the whole of the West; for our country, the solution of continuity came at the beginning of the 1990s. Today we understand better the consequences that alongside the crucial stages of the dismantling of the electoral system by the judiciary and the introduction of a partial first-past-the-post system through a referendum, we must also accept the “external constraint” of the European treaties. These treaties are the last bastion of a political system that will very soon be overwhelmed by events. Throughout its history, the European ideal has achieved extremely important results, which should not be lost in the progressive disintegration of the Union: one thinks only of the harmonisation of legal principles, of the abolition of the death penalty, which remains in force in many states of the United States; one thinks of the great achievements in the field of civil and individual rights, which have, moreover, represented the almost unique frontier of the Western Left. But since Maastricht the power of the European elites has proceeded with ruthless determination to dismantle the foundations of the European welfare state, that is to say, the greatest achievement of the European peoples in the second half of the twentieth century, thus destroying what was the characteristic element of European civilization itself. It was part of a very lucid and explicit project aimed at preventing any socialist horizon on the continent, and also at dismantling the remains of the Keynesian compromise of the “golden age” of the West. The Italian case is exemplary from this point of view. Fragile elites, bridge circles, power groups that would never have been able to conquer hegemony by democratic means have unscrupulously used the “external constraint” to achieve the results that power relations in the past declined. The acceptance of this constraint by the Italian ruling classes destroyed a development mechanism that was based on the support of state policies, and condemned our country to a stagnation that appears endless. This was behaviour contrary to the national interest. A brief digression on patriotism. The theme has a certain topicality, but it must be limited to its political meaning, which should be contrasted with the fantasies about the end of the nation-state long circulating on the left. I quote from Silvio Lanaro´s book “Fatherland, Circumnavigation of a controversial idea” (written in 1996), among the few sensible things produced by the long Italian debate on these issues, in which he wrote: “the fatherland is the only place of moral, civil, and spiritual aggregation able to guarantee the plurality of existential experiences that men and women can enjoy today in this late hour of the second millennium, allowing them to address the problems of life in relationships, without the anguished insecurity of the traveller and the exile”. Faced with an internationalism that now seems exclusively defined by religious or financial fundamentalism, it is inevitable to seek a dimension of “existential protection and reassurance”, of “affinity, consonance, ideal and moral kinship”, part of a “self-representation without which no social group is able to live and survive”. However, it should be remembered that at this time we rightly criticized the historiographical rhetoric of Carlo Azeglio Ciampi, (Carlo Azeglio Ciampi, President of the Republic 1999 al 2006) , and the patriotic exaltation of a mummified “Risorgimento”, corresponding to the transfer of sovereignty to the Europe of Maastricht: the two things were held together, indeed it was precisely the pursued subordination that demanded the emphasis on an external patriotism. This mechanism can also be repeated in the future. And without ever forgetting the French tradition, which teaches how patriotism can become the “last refuge” of very dubious behaviour. BUT THIS MEANS RETURNING TO NATION STATES! It is one of the recurring statements in the morass of phrases of Europeanist rhetoric. This is clearly an optical illusion, because we have never abandoned the nation state. And indeed it is the only reality that supports the construction of Europe, based on the balance of reasonably strong national interests, where the strongest prevail and the weakest allow themselves to be overwhelmed, perhaps by organising pleasant trips to Ventotene for the people. Even a hypothetical European “super state” would respond to the same balance of power, leaving the useless EU Parliament with the petty task of deciding on the curvature of cucumbers and the aesthetics of cigarette packaging. 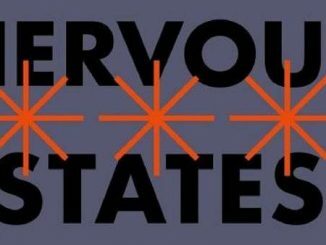 The real “sovereignty” that must be feared is that of a super state that has no limits on the increasingly precarious life of its subjects. For them there remains no other resource but to defend as much as possible of their own constitutional sovereignty. The national space – to be understood as not unique, not exclusive – is inevitably the essential battle ground for any policy that wants to change the existing state of affairs because, whether we like it or not, the European structures are defined through the composition of a conflicting balance between national interests. National interest – a term that has disappeared from the lexicon of the left. 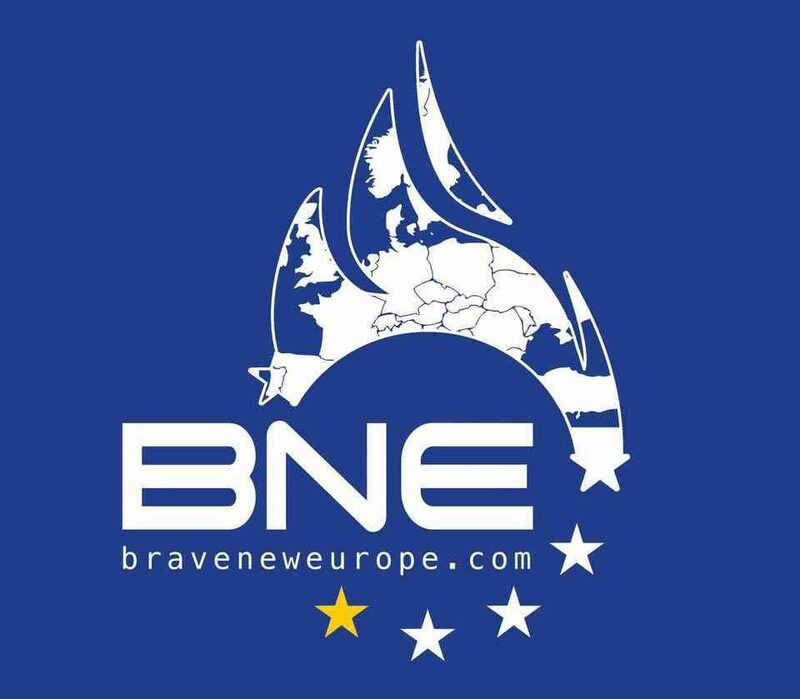 Everyone can see that Europe as it has been built since the early 1990s cannot be reformed, and that it has resulted in economic and social regression for our people and for other European peoples. This does not necessarily mean dismantling everything, but returning – let me quote – to that momentum “of creativity and also of ‘healthy disunity’: that is, giving more independence, giving more freedom to the countries of the European Union” which an Argentinean observer living in the Vatican spoke about some time ago, and who knows that the greatness of European civilization was built through respect for diversity (the ‘healthy disunity’) and a balance between vocations and interests that may conflict. The greatness of European civilisation, the secret that has allowed it to reach unexpected goals on the basis of its modest territorial consistency, lies precisely in the absence of a dominant centre, in the capacity to practice a policy of equilibrium, even if conflictual. It is not by chance that the utopias of a unified Europe developed around the attempts of military subjugation, experienced with very different ideologies and repercussions, by Napoleon and Hitler. In the demonising of the nation state, it has become commonplace to attribute to it the phenomenon of wars, as if there had been no wars before their nineteenth-century affirmation. We forget what historians have called the “peace of a hundred years”, from 1814/15 to 1914, a period in which Europe experienced only small military campaigns and a brief war between France and Prussia in 1870. A century in which the bloodiest war was the American civil war with its 600,000 dead, a figure that appears almost derisory compared to the millions of victims of the next century. The catastrophe of the world wars occurred precisely from the desire to force the balance between nation states owing to the pursuit of imperialist goals. This ambition continues to operate under the radar even after Maastricht, and has recently produced the disasters of Libya and Syria. Forcing the creation of a United States of Europe, which nobody really wants except a few fanatics (but very influential in the establishment), must be avoided. The intention to inaugurate it with the European army is a source of alarm and will cause an increasingly marked disquiet in popular sentiments, already today largely alienated by the European rhetoric of the elites. The “supranational” elements present in our lives today (customs, borders, and even the Erasmus so dear to the argumentation of many) are the result of agreements between states. They are always revocable, and in recent years the Schengen agreements have been suspended by a number of EU nations. The discussion on currency is different, as it has a much more stringent constraint and does not provide for exits (ask the Greeks about it). In Italy, the cultural protagonist of subordination was the world of shareholders, real or self-styled, who replied to its ancient myths about the congenital backwardness of a Levantine Italy, which had not had the Protestant Reformation, and that without the European bridle risked slipping into the Mediterranean or Africa. Europe, which was to teach young people the harshness of living as theorised by Tommaso Padoa-Schioppa. (Padoa Schioppa wrote in the Corriere della Sera of 26 August 2003 that “In continental Europe, a comprehensive programme of structural reforms must now cover pensions, health care, the labour market, schools and others. But it must be guided by a single principle: to reduce the protection that during the twentieth century has progressively removed the individual from direct contact with the harshness of life, with the reversals of luck, with the sanction or the reward for his defects or qualities”.). Then the post-communists joined in, and that was the decisive contribution. Europeanism has provided a substitute ideology to the left, of government and of opposition, which has found a lethal utopia to embrace after the failure of all the previous ones, with the same uncritical view of the past. Not only ideology, it is a civil religion that also seems to involve human sacrifices. Today we are witnessing the crisis of the liberal left in its various forms (throughout the West, but particularly in Italy). Both the moderate left and the so-called “radical left”, which was the extreme wing of the same ideology, intransigent in the claim of civil rights but distracted in the defence of social rights, and which has been recognized in a “cosmopolitanism of manner” and in a misunderstood internationalism, which seems to ignore the very meaning of the term, which means fraternity, solidarity between nations. I don’t know if in today’s primary schools we still know how in our times the allegory of little Hendrick, the Dutch child who put his finger in the hole in the dyke, kept it there all night and saved his village. The radical left today is full of people who profess to be resolutely Europeanist and hope that one day Father Christmas will induce the ruling elites to give us a Europe of solidarity, that will eliminate or reduce inequalities, distribute rights and benefits for the underprivileged, etc. When a lucky astrological coincidence will bring the left to power in all European countries. We are all moving, within the Italian left, in the wake of irrelevance. We should try to get out of it, without deluding ourselves that it is a short path, but seriously studying the culture and practices of our opponents, with the criterion of differentiated analysis, renouncing grotesque demonisation and purely consolatory testimonies. But in any case, turning the page with respect to the fragile certainties of the past thirty years. Republican Fronts have become useless. We need a left that is able to contend with the right precisely among those popular classes that it has abandoned in the last quarter of a century. Otherwise the game is over.